You can easily spend an entire day at the Garden exploring the Art of Play, interacting with tropical butterflies in the Butterflies LIVE! 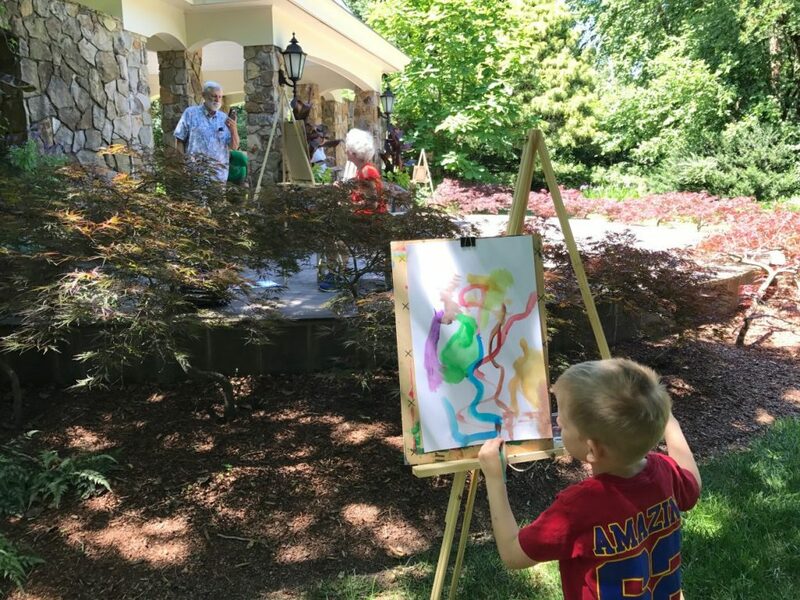 exhibition, playing in the Children’s Garden and CWDKids Tree House; splashing in Water Play, and enjoying 50 acres of blooms like you’ve never seen. Thursday evenings June- mid-September, we’re open late (’til 9 p.m.) for Flowers After 5 with live music and activities. In 2017, the national non-profit KaBoom! named Richmond a Playful City USA Community for its array of parks, playgrounds and engaging places to play. Inspired by this award, The Art of Play aims to showcase the Garden as one of the city’s most creative places to play. Whether we play pick-up sticks, play the piano or play the leading lady, play brings people together in shared experiences. By focusing on the authentic interactions that happen when we play together and how play can help us become more connected as people, The Art of Play will support the Garden’s mission to connect people through plants to improve our communities. Float in a cloud of soap from a Bubble Machine. Play Giant Scrabble on the lawn. Paint playful pictures on Plein Air Paint Days. Exhibit and related activities included with Garden admission. Lewis Ginter Botanical Garden will invite guests of all ages to come outside and play! The Art of Play transforms the Garden into a vibrant canvas where visitors will express themselves in a palette of playful activities. Interactive sculpture, innovative programming, multisensory activities and Pop-up Play Stations, all curated to engage imaginations and inspire flights of fancy, will awaken the artist in everyone. 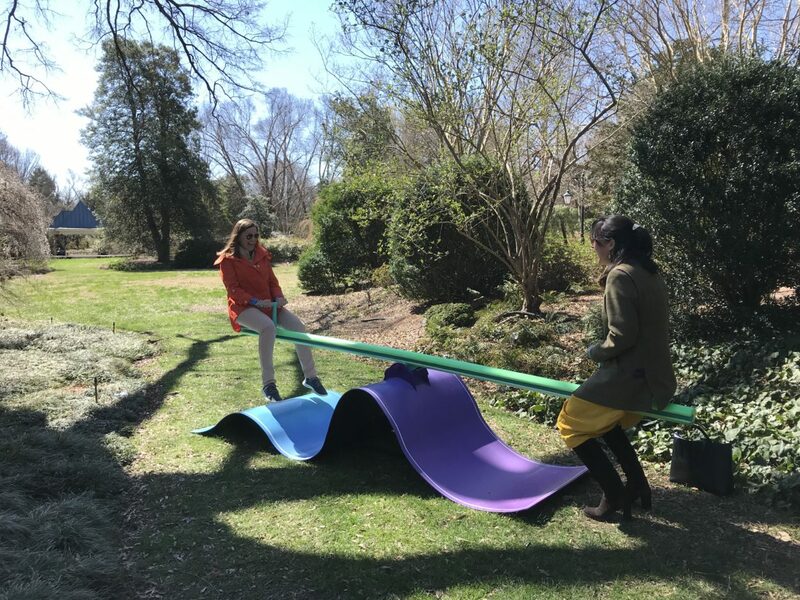 Six Virginia artists have been commissioned to create whimsical installations that invite adults and children alike to engage in the creative process — and experience nature anew. Sit astride a life-size wooden horse, play on a space-age seesaw, look through the lens of a giant kaleidoscope, or make a giant impression on a pin-toy. This is art that’s meant to be played with! Nature Connects®: Art with LEGO® Bricks returns to Lewis Ginter June 28 – Septemeber 22, 2019, with new sculptures as part of The Art of Play. The blockbuster exhibition that transformed a tiny iconic toy into an art form will anchor an entire season of play-related events. Nature Connects®: Art with LEGO® Bricks returns with new sculptures as part of The Art of Play. Meet the artists including Mickael Broth, Keith M. Ramsey, Javier Chicho Lorenzo, JP Muller, Nico Cathcart and Matthew Leavell.